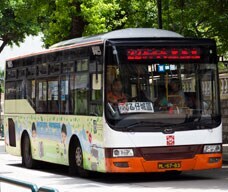 A frequent bus service runs between the Macao Peninsula, Taipa and Coloane. Route information in Chinese and Portuguese is posted at every bus stop detailing destinations, itineraries and stops. The bus fare is MOP6.00 and passengers should prepare adequate coins for the fare as no change is given on the buses, all of which are air-conditioned. 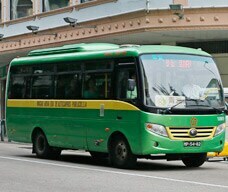 Routes go to and from different spots in the Macao Peninsula, Taipa and Coloane including Macau International Airport. Some buses even traverse narrow streets and alleys in Macao. Like everywhere else, it is best to avoid travelling during peak hours. It is also recommended that you bring a map in order to better locate your destination. 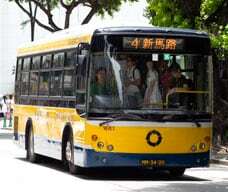 MACAUpass is an electronic payment system using IC card technology installed on all public transport in Macao. Passengers need not use coins, and can also use the pass to make purchases at convenience stores, some bakeries, and vending machines.